Preheat oven to 350. grease mini muffin pan. 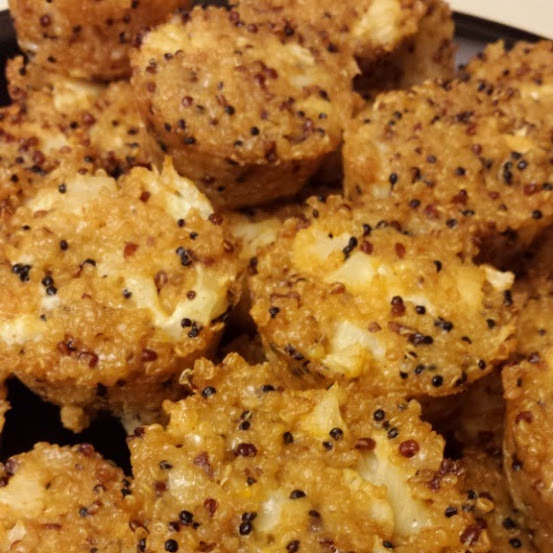 Fill muffin cups with quinoa mixture. Bake for 15-20 minutes until edges are golden brown. Let cool for 5 minutes before removing from pan. Make sure to grab some for yourself before they're all gone! This recipe was modified from the original Broccoli Cheddar Quinoa Bites recipe by Alida's Kitchen.